To continually strive to provide the best service and prices for the sales and installation of solar electric systems. SolarWorld maximizes any solar investment with proven, American-made quality, reliability and durability. -the result of the company's commitment to research and development, quality materials and manufacturing excellence. 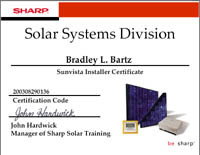 Click here to read more about "As an Authorized SolarWorld Installer". 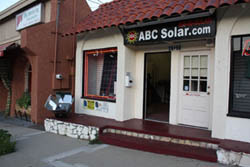 ABC Solar has been designing and installing solar electric grid-tie systems since 2000. We design our systems based on the best available solar and inverter technology. Each roof and home requires attention to detail to maximize your solar power and potential. we use inverters from SMA America,Enphase,Power One, and other reliable manufactures. 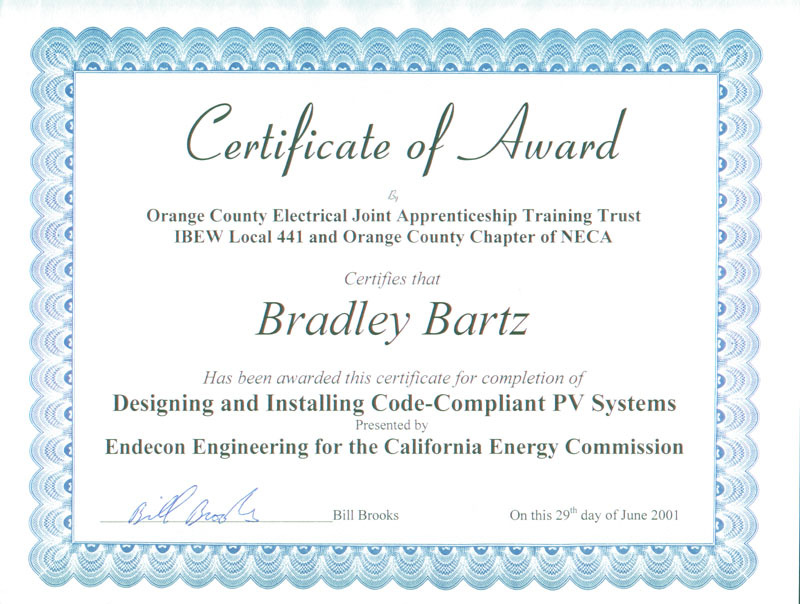 This training, presented by Bill Brooks of Endecon Engineering, provides an intensive overview of small-scale solar electric generation, basic system design issues and installation requirements to meet the National Electical Code. ABC Solar's President, VP Engineering and VP Sales all attended two-day this event. 2 day course taught by John Hardwick.